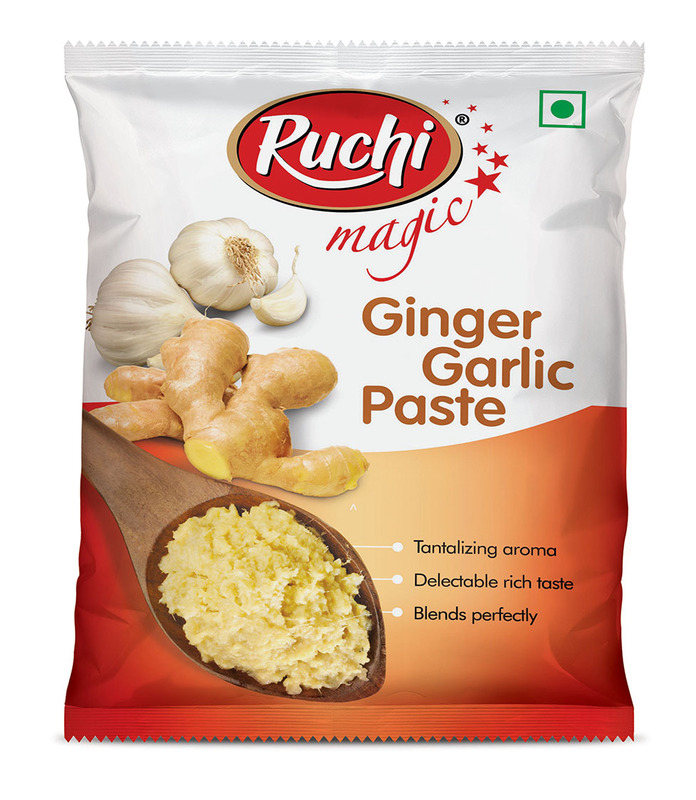 Ruchi Magic brings you a heavenly mix of Ginger Garlic paste which can be used by chefs to concoct succulent dishes through the week. Relish your food with the lip-smacking Ruchi Magic Carrot Pickle, made of the finest carrots from the hilly regions of South India. 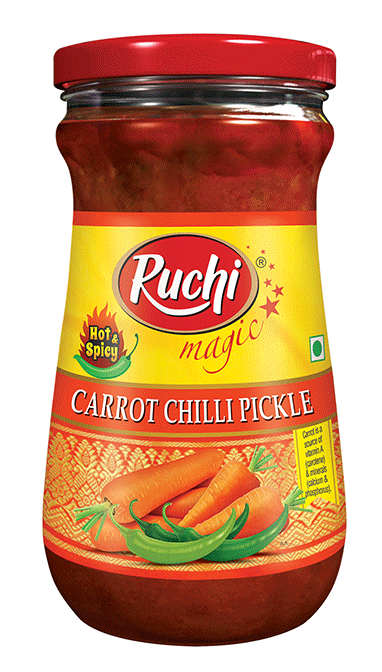 Now complete your meal with the yummy and scrummy Ruchi Magic Carrot pickle that would never fail to gratify your taste buds. Blends well with Sambar Rice, Curd Rice and Rotis. The dashing combination of beetroots’ natural sweet along with Ruchi’s magical recipe makes you fall for the all new Ruchi Magic Beetroot pickle. 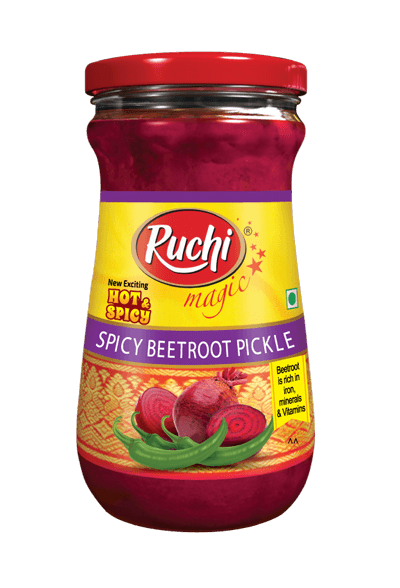 Now, spice up your food with Ruchi Magic Beetroot pickle that gives an everlasting impact to your taste buds. Blends well with Rotis and Meals. 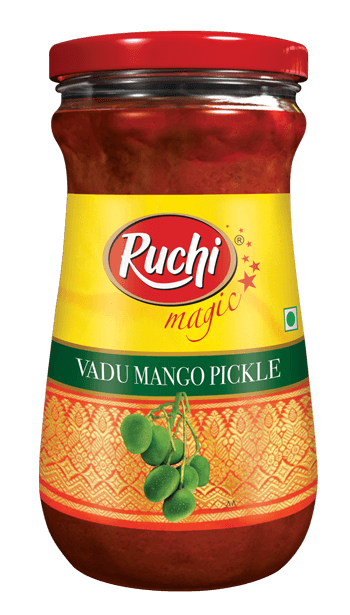 The yummy, finger-licking Ruchi Magic Vadu Mango pickle made with juicy tender baby mangoes will take you back in time by offering the good old taste of granny made pickles and stimulates your tongue to have more and more. It is the highly preferred flavor by people across the state and adds an appetizing flavor when served with curd rice. 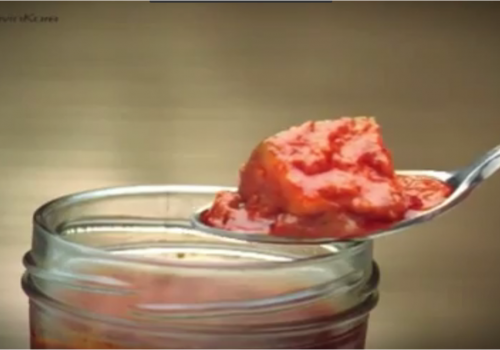 Made of plump red tomatoes and curvy white garlic, Ruchi Tomato Garlic pickle is mouthwatering and scrumptious. It provides the heavenly taste of age-old authentic home-made pickle to delight your taste buds. 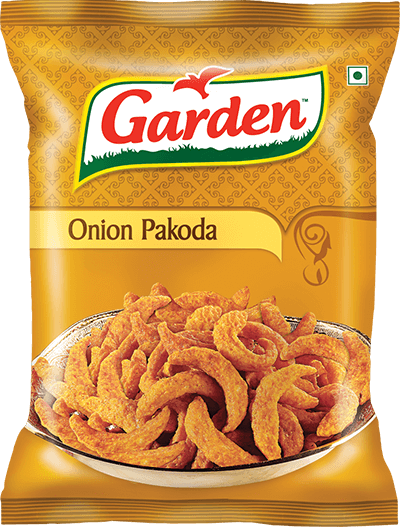 This is the most preferred flavor of the South Indians who go crazy for North Indian foods. 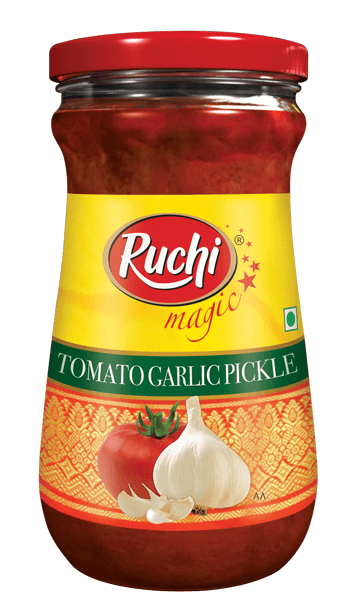 Now make your Rotis, Breads and Nachos magical with Ruchi Tomato Garlic pickle. 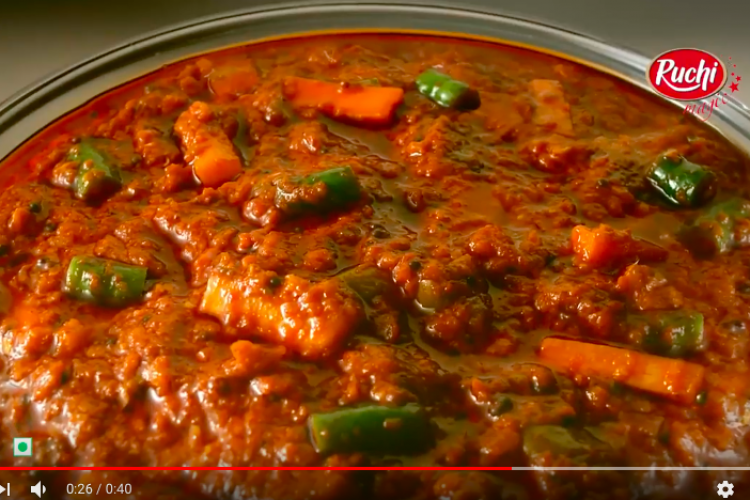 The fiery, hot Ruchi Magic Red Chilli pickle entices the spicy food freaks and follows the traditional recipe of Andhra houses with the carefully chosen sizzling chilies. Made with flavorful red chilies from the farm, it is truly palatable with any dish on the table and gives a blistering touch to the food course. 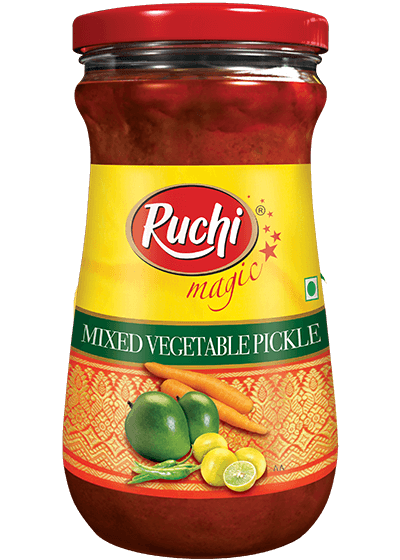 The tasty, diversified Ruchi Magic Mixed Vegetable pickle is made of neatly sliced handpicked farm-fresh vegetables that possess distinct qualities and delivers a completion to your meal. From rice to roti, brunch to snack, a spoon of Ruchi Mixed Vegetable pickle acts as great enhancer to your dishes. Made of grated juicy mangoes, Ruchi Magic Mango Thokku pickle is certainly a tongue tickling hot & sour combo that tempts you to savor it over and over again. This delicious piquant pickle is a great accompaniment when served with Dosa, Idly and Rotis. Specially made for food lovers like you! Made of traditionally passed recipes, the aromatic and tangy Ruchi Magic Mango Ginger pickle makes your dish delicious and delightful. The look alike of Ginger with the flavor of Raw Mango, Mango Ginger is certainly a great appetizer when served with Roti, Puri and plain rice topped with ghee. The tangy and spicy Ruchi Magic Mango Avakai pickle is made of the best mangoes from the South Indian farms and are neatly chopped into cubes for making the pickles. Reflecting the taste of authentic Andhra style recipe, it gives a gratifying elegance to the dish when served with meals and curd rice. Now, excite your palate with the savory Ruchi Magic Mango Avakai pickle! Give your palate a tangy flavor with our signature Ruchi Magic Lime pickle and elevate the taste of your appetite. 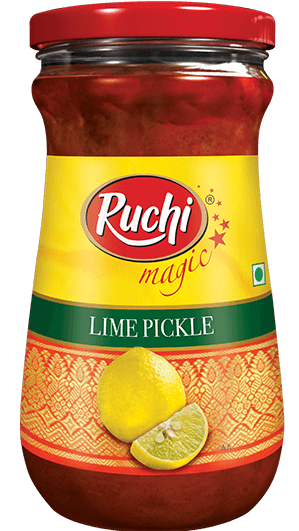 Having picked the fresh natural yellow lemons from the farm, Ruchi Magic Lime pickle is made using the age old authentic recipe that lets you feel the novelty of the pickle. This pickle goes well with curd rice, chips, khakra, farsan and dhokla. The homelike Ruchi Magic Gongura pickle triggers your nostalgic feeling and gives a grand touch to your appetite. Made of hygienic green Gongura leaves, the Andhra famed Gongura pickle lets you feel the spiciness of its taste. The Andhra style pickle is a significant appetizer when served along hot rice with melted ghee, Curd rice and Roti. Made with freshly grated ginger, Ruchi Magic Ginger Pickle is most-relished for its tanginess and hotness. It is an absolute feast for the homemade palate lovers. It goes perfect alongside Dosa, Idly, Vada and Pesarattu. Having a tantalizing aroma of freshly peeled white garlic clove, Ruchi Magic Garlic pickle gives a sizzling entice to the dish and is a mouth-watering appetite for all pickle lovers. Blends well with Parathas, Rotis and Rice. 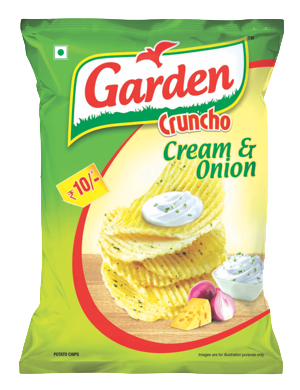 Also, it is a must try with potato chips to feel the twist. Made of carefully vetted fresh mangoes from the mango grooves across South India, Ruchi Magic Cut Mango pickle is a taste tangling delightful partake for many when served with snack items like Khakra, Chips and French fries. It is also a yummy appetite when served with nicely roasted crispy Ghee Dosa, thick curd rice and breads. 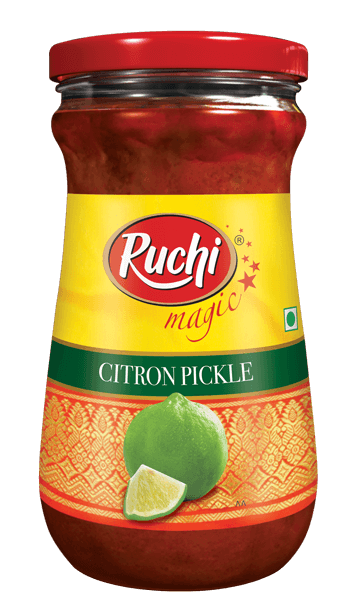 Made of the best produced Citron fruit from the field, Ruchi Magic Citron pickle is zesty in taste and satisfies your crave for tangy and spicy palate. The Vitamin C enriched Citron, aids in easier digestion and assists well when served with curd rice. The tongue tickling Ruchi Magic Amla pickle is made of finely grained Amla fruits that are tarty in nature and spicy sour in taste. A perfect side dish for curd rice, tamarind rice and Roti. Like the ancient tradition, begin your first bite of the meal with Ruchi Magic Amla pickle that delivers you the archaic taste of the pickle. 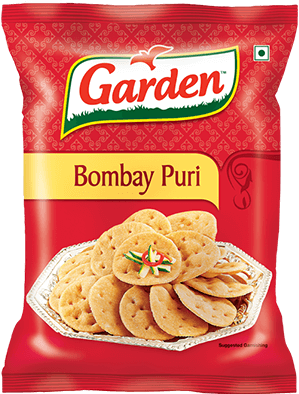 Garden Tea Time Puri are fried puris perfect to have during tea time from the house of CavinKare. These puris are crunchy and crispy and give a crackling sound when you munch on them. 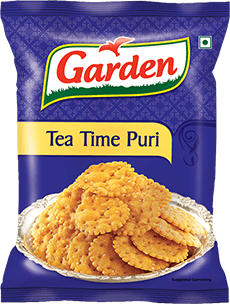 The Garden Tea Time Puri can be had along with chutney or tomato sauce and the kids are sure to love munching on them as they are very tasty and scrumptious. They can also be broken into pieces and added to Indian bhel. Garden range of snacks is made to offer authentic Indian flavours and offer the highest quality of treats for late afternoon tea or to satisfy mid-day cravings. 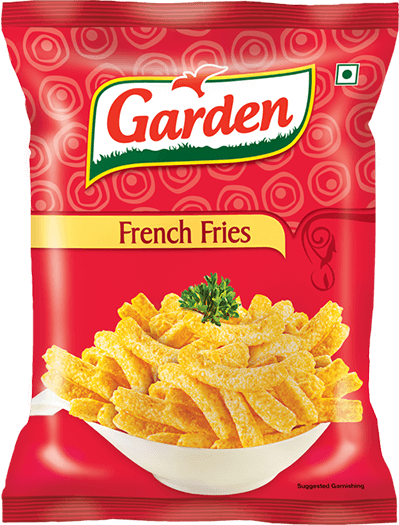 Garden Nylon Sev are very thin strands of hand pressed gram flour paste fried in oil. This sev is very crunchy and crispy. 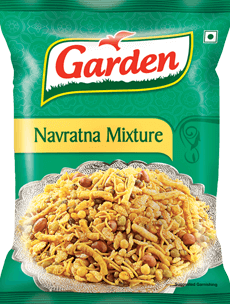 It is a major ingredient for making chivda mixture and all kinds of chat like sev puri. 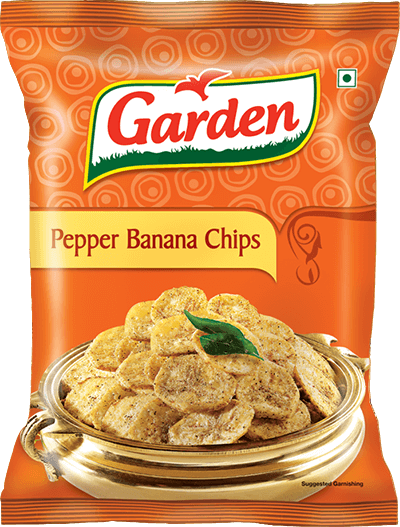 This is a very tasty snack under the brand name ‘Garden’, from Cavin Kare. 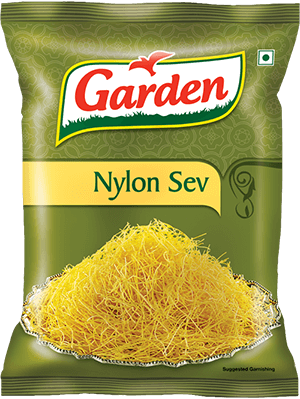 This nylon sev can be had during tea time or during a tasty timepass with family and friends. 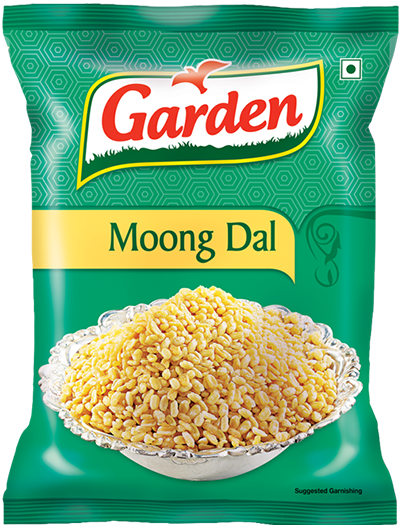 Now make your tea time more special with Garden’s tasty Moong Dal. 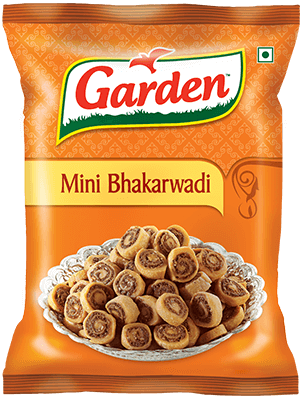 Authentic Manglorian snack that can be munched on during snack time, tea time or during leisure. 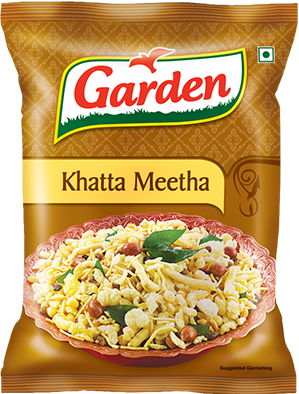 Sweet and Salty Mix of Rice Flakes, Sago and Roasted Nuts, this Garden’s Khatta Meetha is an amazing tea-time snack. An authentic mumbaiyya snack , tasty mix of puffed rice, lentils and sevs a perfect snack for your family and friends. 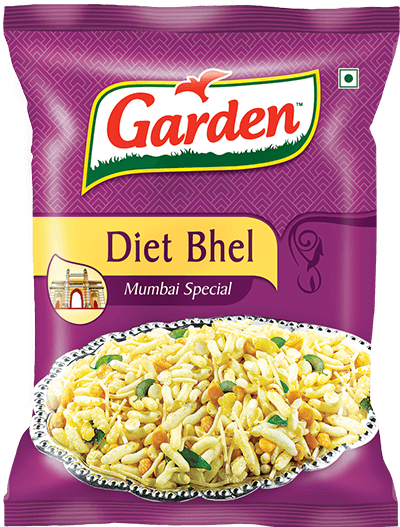 Garden Bombay Puri is a popular street food originating from the streets of Mumbai. Top it up with mashed potatoes, onion, tomatoes and coriander leaves that goes in making sev puri. Also not to forget chutney and lime juice. 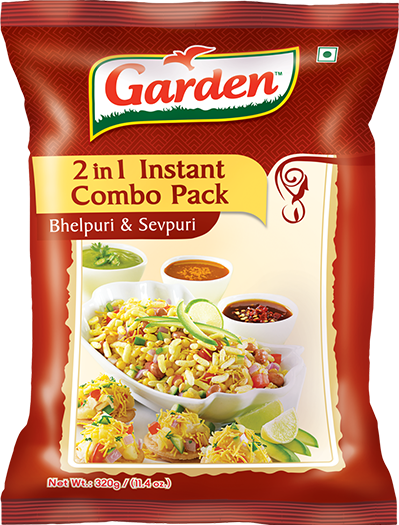 Amazing combo pack from Garden – Tasty Bhelpuri and Sevpuri. 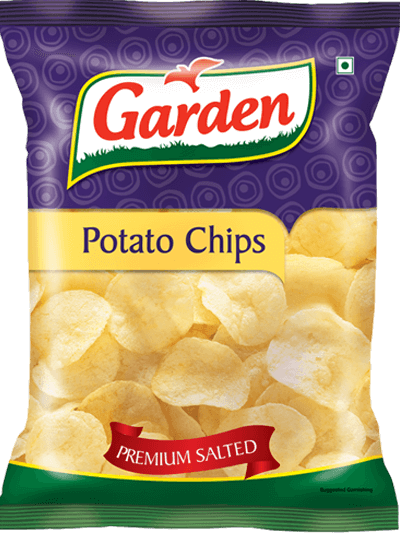 Crsipy and tasty Garden’s Potato Chips is freshly packed and the best time-pass chips. 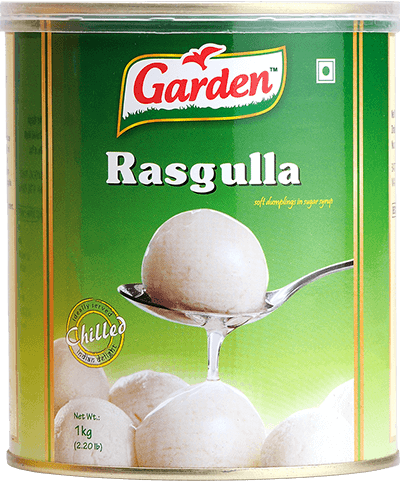 A superior quality and lasting freshness, Garden’s Rasgulla is all that you are looking for. 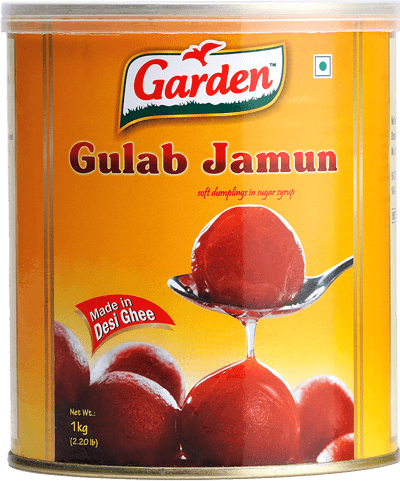 Soft dumpling of fried dough dipped in sugar syrup, this Garden’s Gulab Jamun will satisfy your crave. Garden Raita Boondi is prepared by frying drops of gram flour batter in oil. 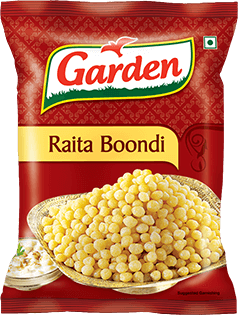 This boondi can be used along with raita or to prepare South Indian mixture. Garden Raita Boondi is very crispy and crunchy and can be had during teatime or during a tasty timepass with friends and family. It can be used to make famous Indian chat pani puri. It has low sodium content. Garden brings you Navratna Mixture – just as the name sounds, this royal namkeen is a blend of varieties of dals and nuts which make it special. It is a recipe with premium dry fruits, exotic dals and nutritious rice flakes and boasts of a variety of spices that go in it. So, go ahead and give yourself a royal treat. 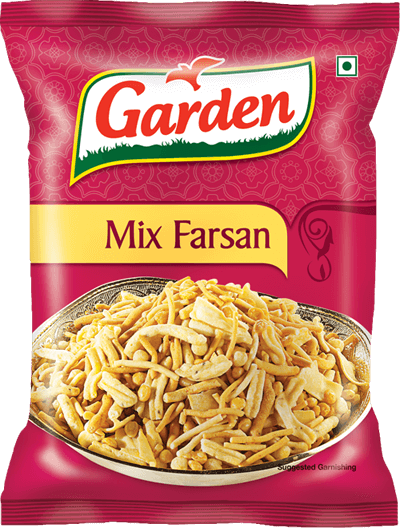 Garden Mix Farsan Namkeen is a salted namkeen product in which the strands of gram flour are hand pressed and fried in high quality edible oil. These strands are firm and hence, very crispy and crunchy but it slowly melts down inside the mouth as you have them. 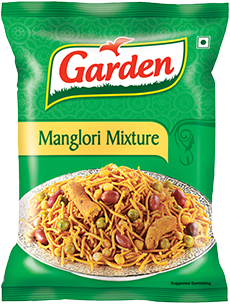 This farsan mixture can be added to Indian bhel delicacy to get that extra taste factor. 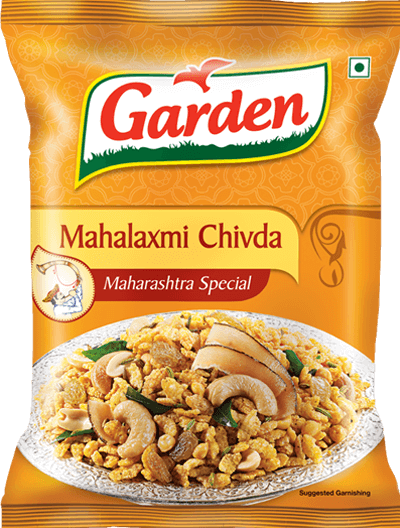 Garden Brings you Mahalaxmi Chivda – a speciality from the western ghats of Maharashtra. Mahalaxmi Chivda is a delightful blend of rice flakes, sabudana, mustard seeds, lemon juice and edible oils. 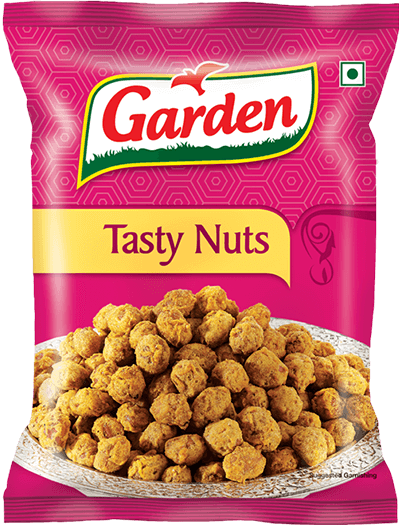 Garden Brings you Golden Mixture – a perfect blend of gathias, nuts, peas and freshy ground spices. 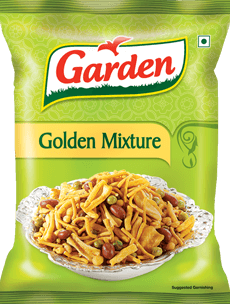 Not many snacks can boast of a taste as rich as Garden Golden Mixture. So, just sit back and enjoy the snack! Crispy and mouth watering alu bhujia. Highly beneficial for people who prefer non-oily and fat free healthy food. 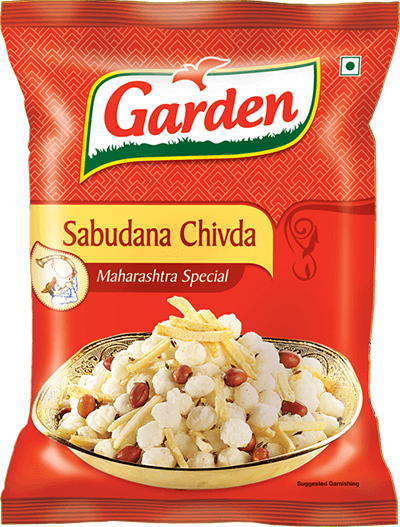 Garden’s Sabudana Chivda provides various health nutrients and is a wholesome meal. 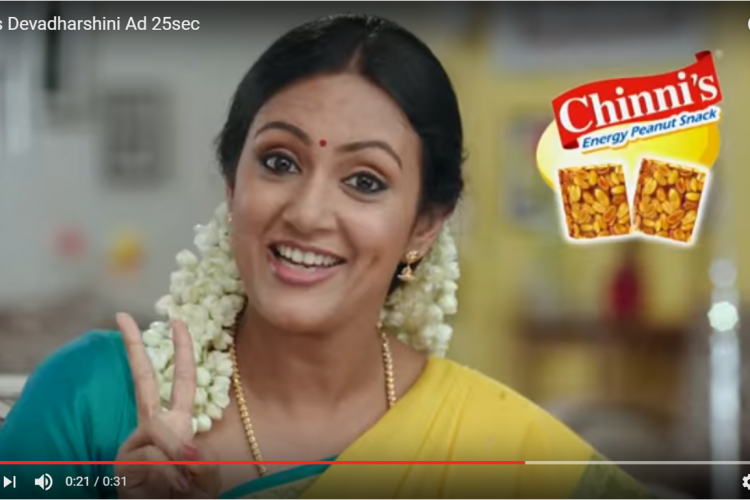 Authentic Kerala style banana chips, crispy and spicy. 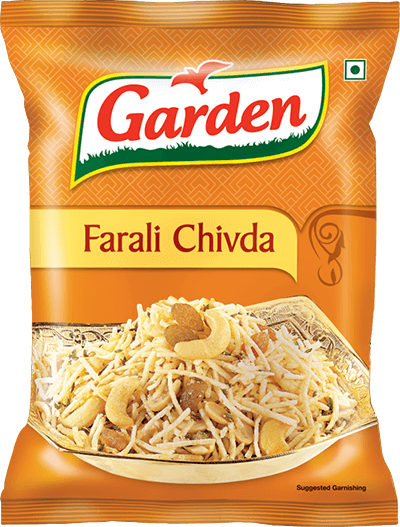 Garden Farali Chivda is a tasty North Indian snack that can be munched during tea time or after having sweets to pep up the taste buds. It is made of Potato, Peanut, Refined Palmolein oil, Sugar, Raisins, Cahewnut, Iodised Salt, Green chilli, Cumin seeds and Poppy seeds. Garden Namkeens stands for authenticity and meeting the expectations of every Indian, regardless of his or her region of origin. Garden Namkeens stands for authenticity and meeting the expectations of every Indian, regardless of his or her region of origin. We have made it our priority to cater to everyone who may have a love for certain kinds of snacks. 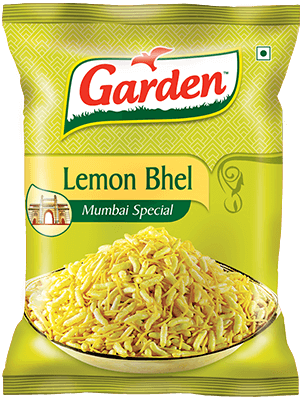 Garden Lemon Bhel is lemon flavoured puffed rice along with nylon sev. The tangy, lemony taste adds to the delicacy of this bhel. Puffed rice is low in calorific values and hence good for health. There is no trans fat and no cholesterol in this snack. The nylon sev in this bhel is very crispy and crunchy. 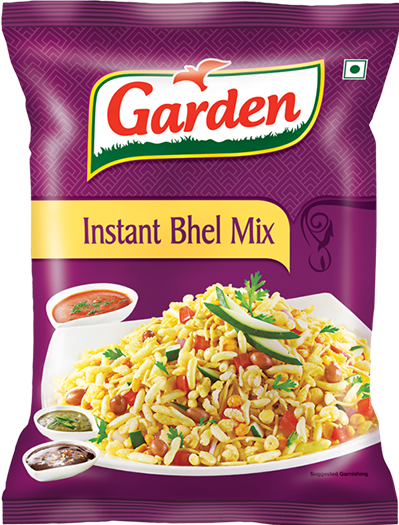 Garden Lemon Bhel is a best snacking option during tea time or during a tasty timepass with friends and family. 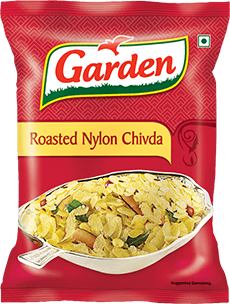 Garden Diet Chivda is a tasty and healthy Indian snack best suited for tea time and during tasty timepass with friends and family. 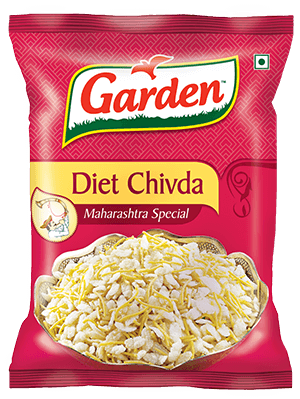 It is called diet chivda as it is made from healthy ingredients. It is low in fat. It is very crispy and cruncy and compels you to munch on as soon as you have a mouthful. A unique oil-reextraction hydro process is applied during the manufacturing of Garden’s diet range. 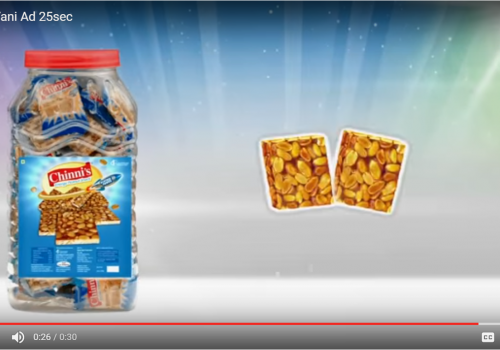 It directly lowers the fat content in all these snack options. Every moment is the right moment to dive in the creamy sourness of Cream & Onion. Allow mellow cream and tart onions to pamper your senses. Sit back and just relish the taste. Also available in Tempting Masala, Premium Salted, Saucy tomato, Pudina Jaljira and Chilli Mango flavours. Grab one today! Potato chips with a tangy twist. 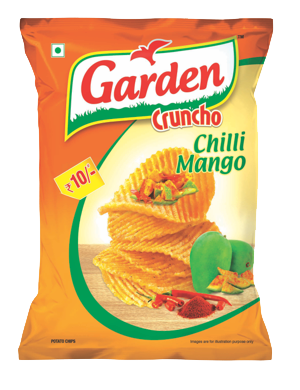 Garden’s Chilli Mango is definitely irresistible. 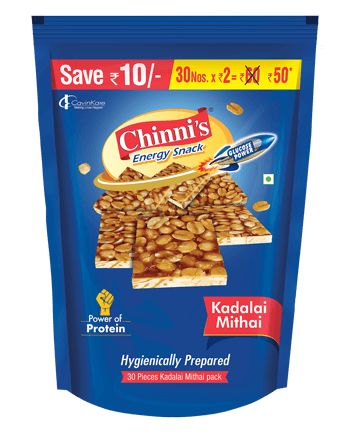 Chinni’s Energy Peanut Snack gives consumers a product that provides them a boost of energy for all the time they need it. It also comes with a plethora of additional benefits such as Resveratrol, a phenolic anti-oxidant usually found in grapes and peanuts, which help in lowering the risk of heart diseases; monounsaturated fats – beneficial for lowering bad cholesterol (LDL) in the body; healthy fibre and Vitamin D.
Made with fresh and premium quality ingredients Hema’s has ready to cook delicious idly and dosa batter. 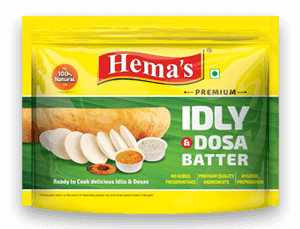 Hemas idli-dosa batter is manufactured in ISO certified manufacturing unit with quality ingredients. We use RO processed water for batter preparation. 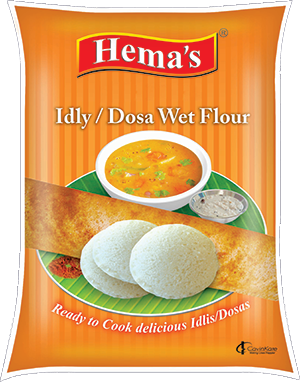 This helps in preparation of tasty idlies and dosas to pamper your taste buds.